Human rights actors are in uncertain times. New scholarship is debating foundational issues, wondering whether we have now entered the human rights “endtimes ”. NGOs and activists sense the landscape is shifting under their feet. The US and Europe are no longer as dominant as they once were, there are many new human rights groups, and information and communication technologies are creating new opportunities, and new challenges. The crucial challenge is to generate collaborations among established and emerging models, and to thus strengthen the human rights field’s overall capacities. However, transitions create opportunities for innovation, so these are also exciting and experimental times. As I have argued elsewhere, the human rights field is going through a period of paradigm shift, leading to the coexistence of contrasting models of international work. In each case, different types of organizations seek to adjust to the new global context. There are, in my view, at least four such paradigms. Under Euro-American hegemony, groups in the global south suffering under authoritarian regimes felt they had to appeal to northern NGOs in Washington, London, or Geneva. These northern advocates, in turn, pleaded, cajoled, and pressured northern governments and international organizations to get engaged. If successful, this human rights “boomerang” eventually returned to its launching point in the form of northern political and economic pressure on southern authoritarian regimes. Versions of this model were at work, for instance, in successful international campaigns against gross human rights violations by Latin American dictatorships in the 1970s and 1980s. Transnational NGOs based in the global north are now expanding, creating a direct institutional presence in the global south, seeking new opportunities for policy influence, fundraising, constituency-building, and for mobilizing popular enthusiasm. This new approach is evident in Amnesty’s ongoing attempt to be “closer to the ground”, as well as Human Rights Watch’s ongoing globalization process. In both cases, a classic, northern-based “brand name” group is opening, or strengthening, offices in new centres of global and regional power, from Sao Paulo, to Delhi, and to Johannesburg. Although these two international NGOs are different, both are decentralizing their hierarchical and geographically concentrated organizational structures. As in other globalized bureaucracies, however, ultimate decision-making power is likely to remain concentrated in the (northern) headquarters. Moreover, in practice, these two groups will tend to privilege collaboration within their globally dispersed organizational structure, rather than collaboration with local organizations. This revision of the classical boomerang will lead to internal boomerangs, in which traditional north-south channels of power are internalized, and replicated, within globalizing NGOs. A second option is global virtual networks. Empowered by information and communications technologies, e-activists and online advocacy platforms like Change.org and Avaaz mobilize the power of decentralized crowds to put pressure on a variety of human rights targets, from states, to corporations, and to churches. A similar use of the “wealth of (online) networks” is evident in the rapid, cross-border dissemination of pro-rights movements like Occupy. Although promoters of this model overplay its novelty, they rightly note that its power is “open, participatory, and peer-driven”. Its strength lies in its ability to solve collective action problems by aggregating small contributions from around the world at dizzying speed, from small donations in crowdfunding schemes to e-signatures in support of transnational petitions. Its weakness is the obverse of its highly disruptive and oportune power, that is, its inability to sustain collaboration over time and transform disruption into lasting influence, as evident in the fate of the Occupy movement. As global power becomes more multipolar, local NGOs are creating new coalitions focused on producing what I call multiple boomerangs. In this case, political pressure for human rights change comes from different geographic locations, and is simultaneously mobilized and directed towards different and multiple targets. I witnessed this model at work in a recent campaign. 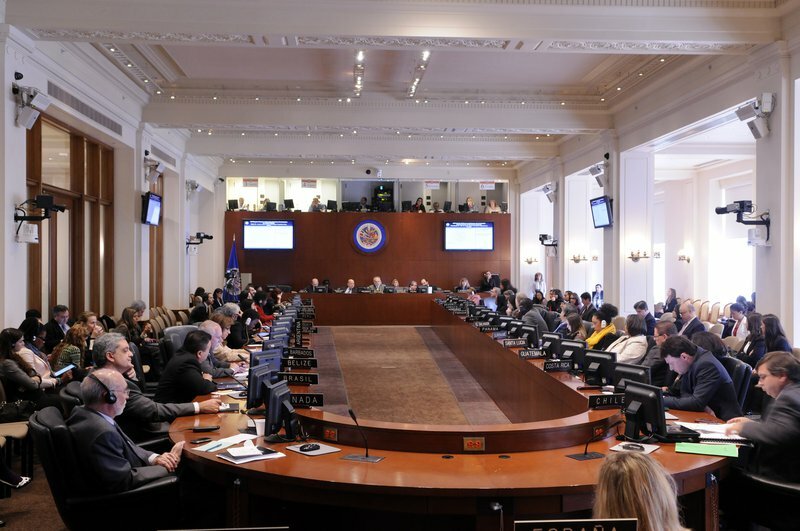 In 2011-13, Latin American NGOs, including Dejusticia, forged a successful coalition to defend the Inter-American Human Rights Commission (IAHRC) when it came under attack from regional governments. In this case, the US was a major part of the problem; it had never ratified the Inter-American Convention on Human Rights, and its regional influence was in decline. As a result, lobbying US human rights groups, or appealing to the US government for pressure on Latin American governments, would have been ineffectual, even counter-productive. Instead, Latin American NGOs developed a collaborative strategy centered on putting simultaneous pressure on their own governments to support the IAHRC. They also succeeded in inducing key governments, such as Brazil, to defend the IAHRC from attempts at stripping it of its key powers. A regional coalition of national human rights groups, lobbying their own governments and the region’s emerging power, Brazil, got the job done. This was a south-south-south boomerang of national NGOs. But multiple boomerangs are also arising between southern and northern groups. A telling example is the International Network of Civil Liberties Organisations (INCLO), a coalition of 10 national NGOs from different regions of the world that produces comparative reports and coordinates domestic advocacy efforts undertaken by member organizations. Our own group, the Bogota-based NGO Dejusticia, is keen to help consolidate this multiple boomerang model. It fits our institutional strengths, and promotes a more equitable and horizontal form of transnational collaboration. We do this mainly by building links between national NGOs across the global south, and reflecting collectively on relevant research and advocacy. To this end, we promote collaborative and horizontal research and advocacy, including an annual action-research workshop for young advocates from the global south. (For an example, see this short video about last year’s workshop). The workshop and its resulting collective publications and blog are gradually establishing a transnational community of activists who carry out and publish quality research on their own work, and engage in interdisciplinary and multi-media advocacy. In practice, of course, we and other groups mix and match from among all these multiple models, both old and new. In the end, as in all periods of paradigm shift, a single new model may predominate, but others will continue in some form. The crucial challenge is to generate collaborations among established and emerging models, and to thus strengthen the human rights field’s overall capacities. Nurturing collaborations is easier said than done. For global but still northern headquartered NGOs, the challenge is to adjust their vertical modus operandi, which has helped them make many key contributions, to a more horizontal and collaborate structure. For national NGOs, this entails creating new strategies that link up with each other, and using new leverage points in an increasingly multi-polar, multi-media world.